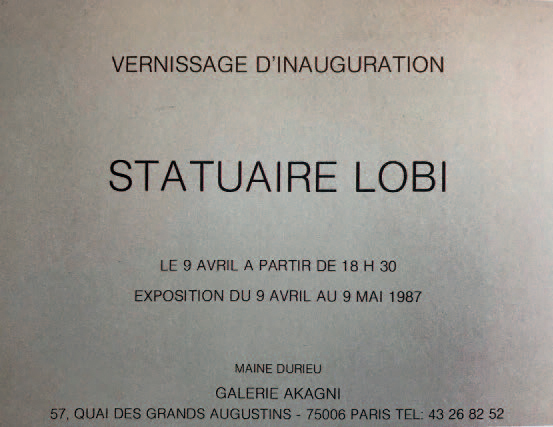 - Paris, Galerie Akagni, Statuaire Lobi, avril – mai 1987In 1987, the first French exhibition totally dedicated to Lobi statuary opened at the Galerie Akagni. 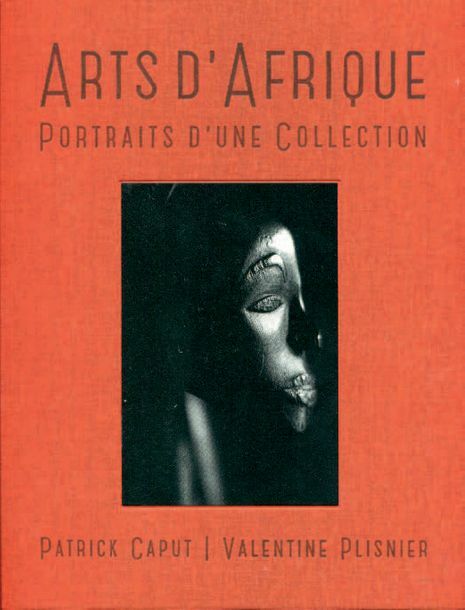 Organised by Maine Durieu (1941-2015) for the inauguration of her new Parisian location, she gave powerful testimony to the wealth and creativity of these artists at the crossroads between Burkina Faso, Ivory Coast and Ghana. 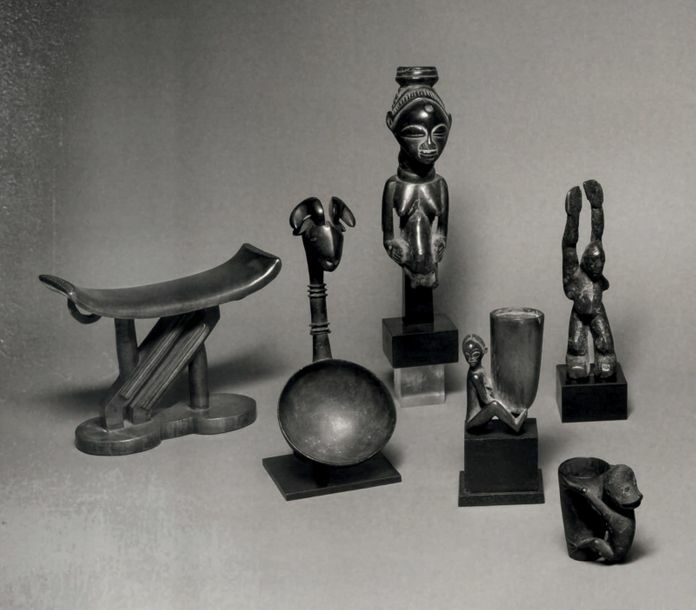 For her invitation, this renowned trader carefully chose this female statuette that she had previously collected in the Lobi country. This object is fascinating in the power of its modelling and the modernity of its proportions. 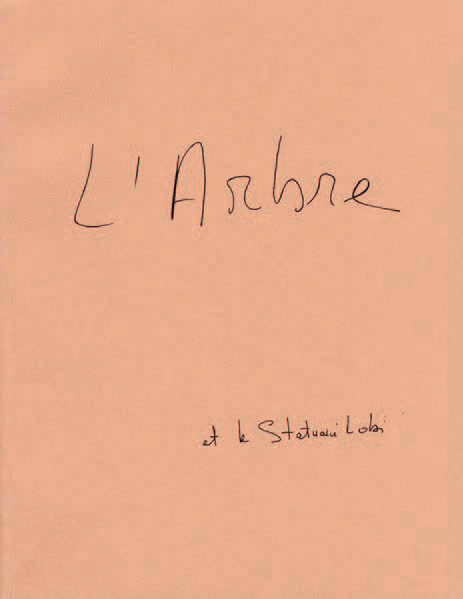 Its construction is reminiscent of La Vie, a small bronze by Matisse dated 1906 that had belonged to Alfred Stieglitz, a highly symbolic source in the New York of the 1920s. Standing on slightly bent legs, the character appears to be in total tension. While the body’s modelling is minimalist, the lines are nervous and dynamic. 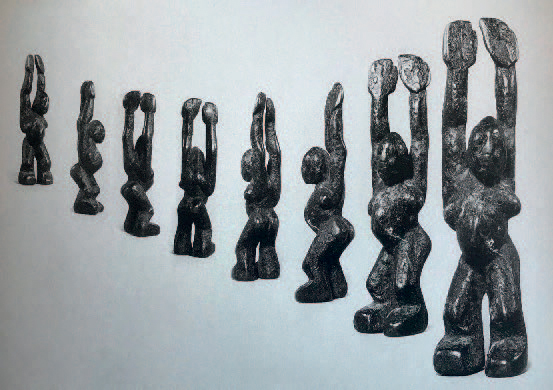 The arms are held up toward the sky to ward off spells and disease. The powerful posture here adds to the face’s expressiveness. Under their heavy lids, the eyes exude a gentle serenity. The deep, nuanced patina bears witness to its frequent handling. 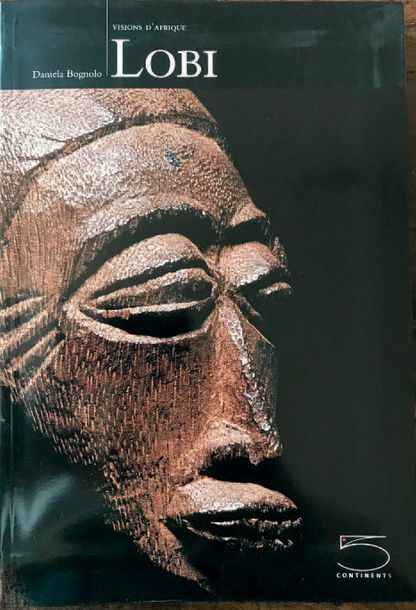 This work has made a place for itself as a masterpiece of Lobi sculpture.